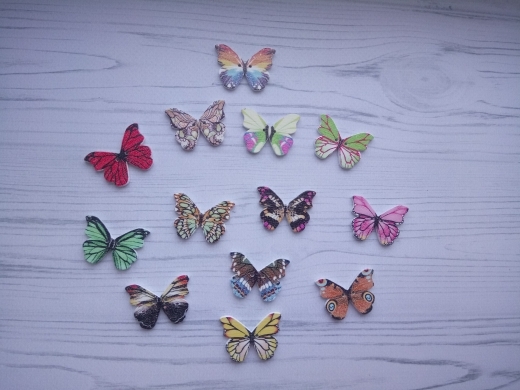 Create lovely projects with these colorful Butterfly Buttons. They are great for sewing, knitting, crocheting, scrapbooking and all your other craft projects. The Butterfly Buttons come in different color designs. You get a random color mix of 50 pieces wooden 2-hole Butterfly Buttons. Fast, high quality. No words …. everything is perfect. I’m very pleased. I recommend the store and the goods. The buttons are just gorgeous! Thank you. I like them very much.